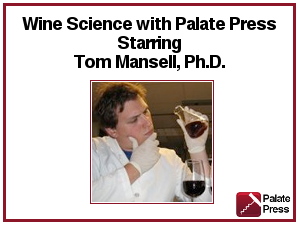 Tom Mansell, Ph.D., Palate Press’ Science Editor, offers a seven-part lecture in the science of wine. He discusses yeast, esters, flaws, and even how to fix some flaws. Tom is an entertaining and informative speaker. We hope you enjoy Wine Science Part 3, Oxidation. Wine Science, Part 4, will be posted next week.